A combination of factors will effect the price of your vector quote. Laser cutting time (the total time that it will take the laser head to travel around and cut each shape). More detailed shapes (such as a star) will take longer to cut out (when compared to something like a circle), as there is a longer distance for the laser to follow. Engraving time (the total time that it will take the laser to process any engraving). Laser engraving is a slower process and increases cost, particularly in respect to the amount of engraving and how efficiently the file is laid out. Refers to the actual cost price of the material. For example, white solid acrylic has a lower value than chunky glitter acrylic. You do not need to order a whole material sheet, and will be charged only for the total width of material used (the height is always 300mm). The type of material used will also impact the total laser time. For example, chunky glitter acrylics are dense (when compared to something like solid acrylic), so are therefore slower to laser cut. Our time and skills to check each file. If we can see any obvious issues, we’ll reach out and let the you know. Physically picking out the material that is needed for the order and adjusting the laser settings to suit that material and file being cut. Removing the pieces from the laser, pushing them out of the material sheet and bagging the finished pieces. This cost is a flat fee of $9 (ex GST). We have a minimum order of $28 (ex GST), so if the total of the laser operator fee, laser time and material use is <$28, your quote will automatically be rounded up. Small files can be inefficient. As a very general rule of thumb, it is typically most cost effective to use at least 50mm x 300mm of material. Calculated on the approximate total size and weight of your order, sent to your location. We use tracked Australian Post for our shipping services.  Start your laser cut jewellery adventures with us today!